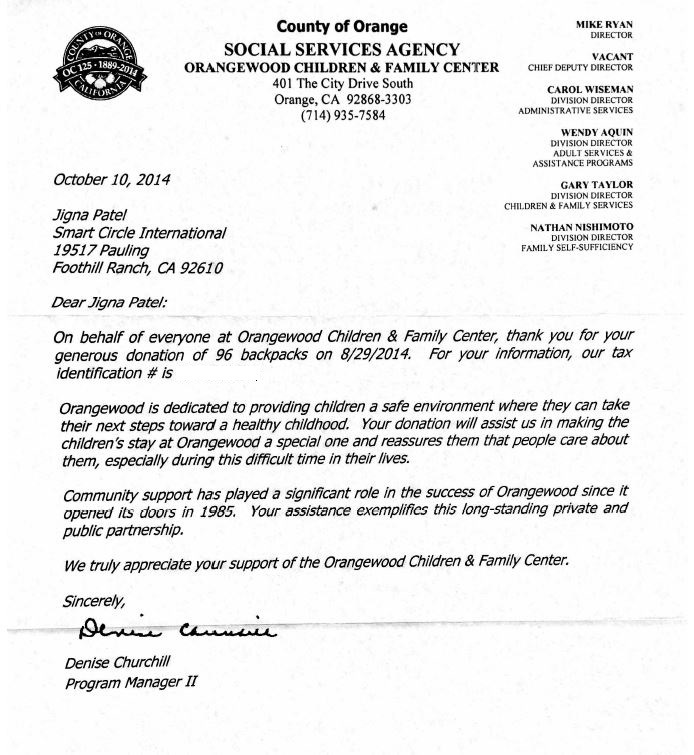 Located in Orange, California, the Orangewood Children and Family Center is Orange County’s only emergency shelter for neglected and sexually, physically or emotionally abused children. The Center provides refuge each year for over 1,000 children who have been removed from their caretakers by police offices or child protective services workers and placed into protective custody. 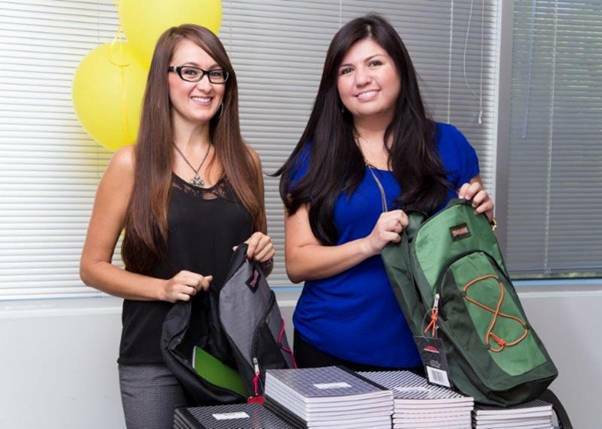 With the start of school last month, Smart Circle pledged to do what we could to help, and for us, that was letting those kids know someone had their backs by providing them with new backpacks stuffed with school supplies for the new school year. Smart Circle volunteers helped set up, organize and stuff the backpacks with school supplies. We are proud to say we delivered over 90 fully stocked backpacks to the Center and even included handwritten notes of inspiration for each child, all in time for back to school! Investing in our kids is the most important investment we can make. We’re very proud of everyone who contributed to this worthwhile investment.